Outdoor Play and Early Learning Policy Research Invitational Symposium, 24-26 October 2018, Toronto, Canada. Annual International Conference: Join us in Cardiff, 28-31 August 2018, Cardiff, Wales. Tender for Research on Environmental volunteering by young people (aged 16-24), deadline: 17 January 2018. The project is funded as part of Defra’s Natural Environment and Rural Evidence Programme and is intended to inform implementation of the Government’s 25 Year Environment Plan. Full details are in the tender documents but this research aims to review existing evidence and undertake primary research to gain greater insight into young people’s participation in environmental volunteering and inform the best way to increase participation by this age group. You will need to register through the Defra Bravo system in order to express your interest, and to receive and send tender documents. You can do this by following this link, https://defra.bravosolution.co.uk/web/login.html. It only takes only a short time and is free of charge. If you have any problems with the registration process, you can contact the Bravo helpline on +44 (0) 800 368 4850 or alternatively email them at: help@bravosolution.co.uk. Access to nature aviva fund: I Love Nature CIC are raising funds to develop an accessible composting toilet and changing facility to support disabled children and adults who visit their site in east Cornwall. They have a page on the Aviva Community Fund website and need your help. Each person is entitled to 10 votes - the more they get, the more chances they have of getting the award. For further information, check out their website. Thank you for your support – I Love Nature CIC. Events at Burrator this October and up to Christmas. Horwood Conference, 2-3 February 2018, Queen's University, Canada. BlueHealth is a pan-European research initiative investigating the links between environment, climate and health. The 6th International Adventure Conference ‘Climates of Change: Rethinking the Outdoor Experience’, 30 January-2 February 2018, Segovia, Spain. Coalition for Education in the Outdoors Fourteenth Biennial Research Symposium, 12-14 January 2018, Martinsville, Indiana. Outdoor Learning and the Environment- What is our Role? 30 September 2017, National Trust Studland Discovery Centre. Clinical Faculty-Outdoor Education, closing date: 26 November 2017, Durham. Young Orchard Maintenance Training, 5 August, Poole Farm, Estover with Tess Wilmot. We are delighted to let you know that there is an opportunity for budding orchardists and fruit tree growers to come along to Poole Farm to work with Permaculture specialist Tess Wilmot to gain some wonderful experience in what to do in maintaining young fruit trees over the summer months. health checks of all types of fruit trees – remedial pruning tips, structure and disease control. As this will involve helping us with the maintenance of our newly planted orchard (over 200 trees) we are delighted to offer this for free in exchange for your help. Please do bring your own secateurs, loppers or other useful tools if you have them as well as some lunch. We’ll provide the training and refreshments. Reply to derrifordcp@plymouth.gov.uk to book a place as places are limited. 2017 Valuing Nature Placement Call Now Open! Wild Tribe Outdoor Learning Conference, 4 October 2017, STERTS, Upton Cross. Have a Curious and Wild Summer with us! Outdoor Learning and the environment - what is our role? 30 September 2017, Wessex. A regional gathering to explore the way in which the outdoor learning sector can contribute to the environment within Wessex. This will be a challenging day that allows us to draw on our own experiences, values and practices and reflect on how we bring environmental stewardship into our practice. Free to attend but please book. We are asking you to book by July 31, by phone 01228 564580 or email. City Research Assistants (Outdoor Learning Research Hubs), This will involve the collection and analysis of data and findings from small-scale research studies in Outdoor Learning provided by the hubs. In addition, the assistant will support the development of a national framework for the analysis of these findings, the production of reports for the Strategic Research Group of the Council for Learning Outside the Classroom and the development of research questions and methods that will help the hub members respond to strategically important questions that will underpin policy development. The assistant will be supervised by members of the Outdoor Learning Research hub at the University of Cumbria and will supported by and report to an steering group of academics and practitioners engaged in the project. Are children participating in a quasiexperimental education outside the classroom intervention more physically active? Exploring the role and potential of experiential learning in environmental education for enhancing wellbeing. Exeter, Deadline 28 July 2017. Barry Island pupils launch innovative new QR story trail. Valuing Nature Newsletter June 2017.
Review opportunity for Learning Away. Slapton Ley Research Seminar - 2nd December 2017. Nature workshops (title tbc) by Jane Acton, Nature Workshops in Sustainable Earth 2017. 29-30 June 2017, Plymouth.The learning people get through our partners includes accredited and non accredited, soft skills and essential skills in forest schools, abseiling, creative skills and careers and budgeting advice and employability skills. All learners are encouraged to progress in to FE and HE with qualified support. LiNE Islington: CPD Training, 4 July 2017, London. Outreach Developer, deadline: 25 June 2017, As an Outreach Developer, you'll be providing inspirational learning experiences for school and community audiences internally and externally. In this role, you'll be developing and performing shows and workshops for different audiences including secondary school students. You'll engage and inspire young people from diverse backgrounds to explore how science shapes their lives today and in their future. Engaging environments, deadline: 25 July 2017. 23 June 2017, has been postponed! Health and Wellbeing from Natural Places for Schools and Communities, 23 June 2017, University of Plymouth, Plymouth. Flier. Cornerstone at Powderham - Summer Lecture Series, 22 May – 8 June 2017, University of Plymouth. Celebrate School Grounds in May! Health and Wellbeing from Natural Places for Schools and Communities, 23 June 2017, Plymouth. Registration (£60) will be open shortly online by estore. RSPB and Aldi: Giving Nature a Home in Schools, My name is Gemma and I am the RSPB Schools Outreach Officer in Plymouth. 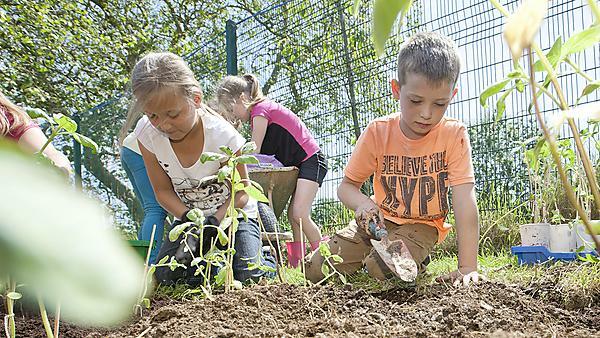 We are currently offering free curriculum linked workshops that engage children with the environment and connect them to nature. This is a great opportunity to get more children learning outside the classroom with help from one our trained RSPB session leaders. Please see flier for information. Easter Events this week at Burrator and the latest Newsletter. A school excursion to a museum can promote physical activity in children by integrating movement into curricular activities. The Green Man Festival, 17-20 August 2017, Brecon Beacons, Wales. Education Assistant (People's Postcode Lottery), Closing date: Monday 20 March 2017. We are seeking a creative and inspiring Education Assistant to work alongside our Education Officer to deliver the Exeter Wildlife Champions project. You will play a key role in delivering outdoor learning sessions and Forest School activities throughout the city. Intern - Outdoor Woodland Learning, Closing date: Wednesday, 22 March 2017. As part of an exciting project, we are looking to take on an intern to train in the delivery of both formal and informal outdoor education sessions. We are looking for an enthusiastic individual with a passion for the outdoors, the natural world and an interest in working with children of all ages. Board Members, Closing date: 22 March 2017. Candidates should have an appreciation of England’s Protected Landscapes and in particular National Parks and AONBs as significant national assets, their statutory purposes and duties and be able to take account of interests at both the national and local level. In addition, candidates should have the ability to think strategically and provide advice and challenge in ways which are impartial, creative and focused on finding solutions. See flier. 29 March 2017 11-12.30 Cookworthy Building Room 505, University of Plymouth Natural England /IOL research and practice hubs. Please come along if you are a practitioner, sector organisation representative or researcher to find out more about these and share information about research across the region and your views on how research and practice in outdoor learning can work together even more effectively in the South west. 23 June 2017 all day venue tbc, University of Plymouth Health and Well-being from Natural Places mini conference. We have several excellent speakers already lined up – do contact us if you would also like to present. And don’t forget the European Outdoor Education seminar at the University of St Mark and St John 28 June – 2 July 2017 and Sustainable Earth Institute conference, 28-29 June 2017. Members of the outdoor and experiential learning research network are presenting at both of these. PLEASE CIRCULATE THIS INFORMATION TO OTHERS THAT MAY BE INTERESTED TO ENSURE WE ARE AS INCLUSIVE AS POSSIBLE. The UK has one of the lowest tree cover rates in Europe - help make a difference! Children Learning Outside the Classroom from birth to eleven, see attached flier to have 25% discount. Your say: What knowledge, experiences and skills should every young person have, relating to food, farming and the countryside? A day (or afternoon) of natural health and well-being including presentations by Andy Wills on sailing and 'social work', on Moor Health and Wellbeing and on Naturally Healthy Devon Schools. Offers for other presentations on this theme are very much welcomed. Please can you fill in the doodle poll to help us identify the best dates to choose. If you have comments or questions, please feel free to email us. Forest Education Network conference 23 March 2017, FSC Bishops Wood. Download the FEN event tweet sheet which includes some useful inks. Building links between local research-practice communities. Capturing the scope of research and delivery projects in their area. Disseminating information about evidence and good practice within their hub area, among the network of pilot hubs and with the SRG LINE and SWG. These pilot hubs will be in Scotland, the North and the South of England. They will be led by members of the Natural England Strategic Research Group Learning in the Natural Environment - you can download the current terms of reference for the hubs and their coordination. The regional hub offers a brilliant extension of what we try to do in the outdoor and experiential learning research network, which has over 250 members now. This new hub also represents the opportunity to reach out to other colleagues and organisations in the region and to take stock of the ways in which we can help research, practice and policy in outdoor learning work together more effectively. The regional hub leaders and proposing organisations are meeting to discuss the national level plans on 28 February 2017 but before going to that meeting, I would love to hear from as many of you as possible so I can feed in ways that you think these hubs (especially our regional Southern England hub) can help your own work, be it in the research, practice or policy arena. Please send your comments to oelresnet@plymouth.ac.uk by Friday 24 February at the latest. How can a regional research and practice hub for outdoor learning help you in your work? Do the proposed objectives meet your needs? What help could you offer to the hub? Following the February national meeting, we will call a special regional meeting so we can share further information and make plans. Outdoor Learning Seminar deadline: 2 February 2017, For more detailed information please read the mail below or get in contact with Ela Rupert (ela.rupert@stanislav.si.) You can apply as well, of course (you can apply for the Erasmus+ K1 funding). Seminar by Gary Streeter and Tom Jones: 2-4.30 pm, 10 February 2017, The Watermark Centre, Erme Court, Leonards Road, IVYBRIDGE PL21 0SZ. The Campaign to Protect Rural England (Devon) is holding an open seminar, with guest speakers Gary Streeter MP and Tom Jones, Lead Officer for the Plymouth and South West Devon Joint Local Plan. All are welcome. Contact Penny Childs on 01392 966737 or email director@cpredeveon.org.uk to reserve a place. Sustainable Earth Institute photography competition: Local focus, global challenges deadline: 31 March 2017. The Journal of Experiential Education: Special Issue on Experiential Learning in Higher Education Call for Papers deadline: 1 August 2017. Sustainable Earth 2017 Conference 29 - 30 June 2017, Rolle Marquee, University of Plymouth: Call for Papers Deadline: 5 March 2017. The 9th World Environmental Education Congress 9 - 15 September 2017, Vancouver, BC, Canada. The 16th European Institute for Outdoor Adventure Education and Experiential Learning Seminar 28 June - 2 July 2017, University of St Mark & St John, Plymouth. Education Coordinator: 30 January 2017: We are seeking a creative and passionate educator experienced in working with schools and leading education programmes, with a philosophical understanding and knowledge of education for sustainability, the natural world and global learning, to lead and develop our programmes and team. MPhil/PhD studentships available in PSI and FABE (University of Westminster): 10 February 2017: PSI’s mission is to inform a more sustainable society, particularly in the context of climate change. PSI is a research centre in FABE, and applications for doctoral study in PSI are eligible for this competition. We wish to encourage and actively support high quality MPhil/PhD applications in areas that align with those of our researchers. To achieve this, we are adding an interim stage into the process. A summary of The Dart School's vision. Burrator news. Download the PDF flyer. Community Weekend: 14-15 January 2017, Eden Project. Download the PDF flyer. Community Weekend: 21-22 January 2017, Eden Project. The support Eden receives from our local community of friends and neighbours plays a big part in our continued success. To thank you, we are running Community Weekends this winter, to offer selected groups and organisations free admission on specific dates. Download the PDF flyer. Seminar on Outdoor Learning from Norwegian scholars: 10 January 2017, 1pm-2.30pm. University of Plymouth, Plymouth. We are delighted to say that two Norwegian professors, Ingunn Fjørtoft and Kari Anne Jørgensen, will be visiting University of Plymouth in January to talk about their work in outdoor learning. The seminar will take place on 10 January in Rolle Building, Room 305. All welcome! Please let Rowena Passy know if you’d like to come.